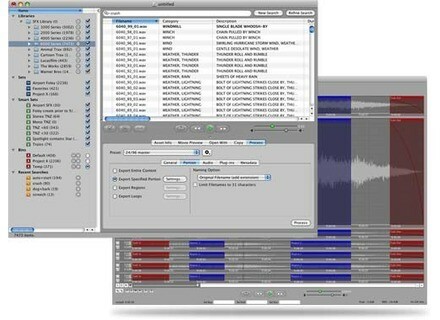 Library Monkey Pro 2, Sampler Format Converter/Browser from Monkey Tools. Added full support for MP3 HD files. Learn about mp3 HD. Added support for disabling the Channel Mask when creating WAVE files Added a WAVE file setting called "Include Channel Mask" that defaults to off that will make multi-channel files more compatible with Pro Tools. Improved Monkey Tools Trim Plugin: Added the option to limit assets to a maximum time on export. -Added ability to select to trim just the beginning or just the ending of the audio. Added support to import the iTunes XML Database directly including all Tracks, Metadata, and Playlists. Added functionality to allow for the pruning of missing files as well as removal of any asset from any library. Added a metadata item "Asset Added Date" to indicate the date and time an asset was added to the Database. Added Soundminer to file and iTunes Library to file metadata mappings. Fixed an issue where a crash could occur in the Database when an asset was updated in a Convert Session. Fixed some issues where the search engine was not properly handling the search scope and search terms. 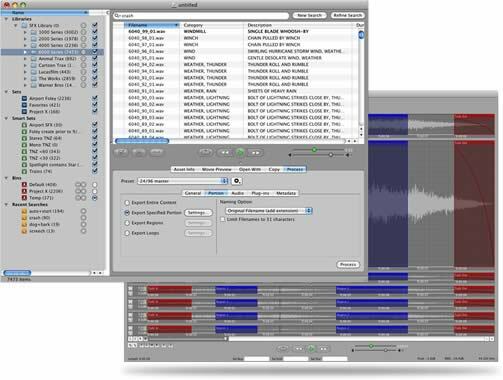 DirectEMX Updated to v1.0.4 DirectEMX v1.04 upgrade offers 64 bit support for Windows and a new midi implementation called DirectMIDI, designed to expand compatibility and possibilities. Sound Magic Lucky Bean Piano Sound Magic releases its Lucky Bean Piano virtual instrument. Tone2 AkustiX Enhancer Tone2 Audiosoftware announced their soon to be released effect plugin AkustiX Enhancer, a collection of enhancement effects designed to complement the mix and mastering process.